Natural nutrition begins here. 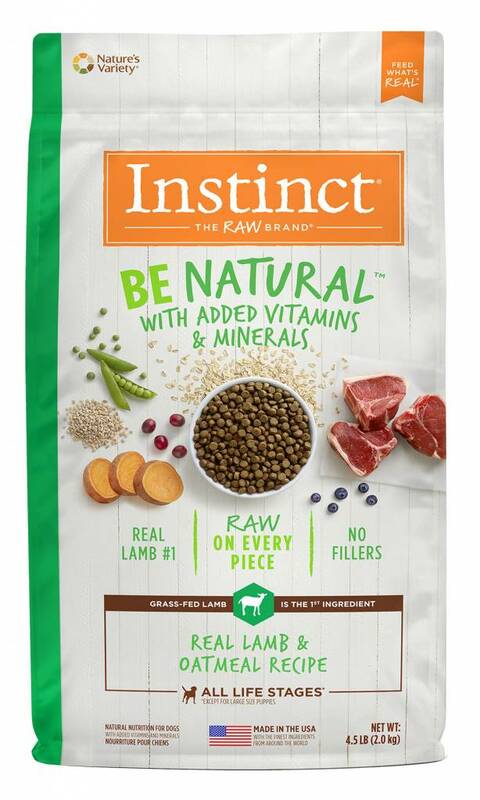 Instinct® Be Natural™ Real Lamb & Oatmeal Recipe starts with grass-fed lamb and never contains filler, corn, wheat, soy or by-product meals or artificial preservatives and colors. Made in the USA with the finest ingredients from around the world. Natural nutrition with added vitamins and minerals.